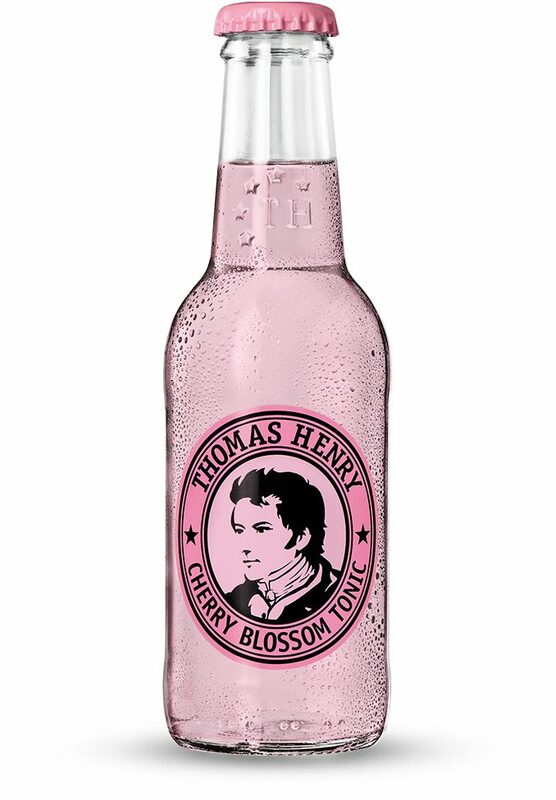 water, fructose syrup, carbon dioxide, acidifier: citric acid, natural flavouring, sea salt, antioxidant: ascorbic acid, flavouring: quinine. Slim because calorific value reduced by less sugar. Vegan and naturally glutenfree. 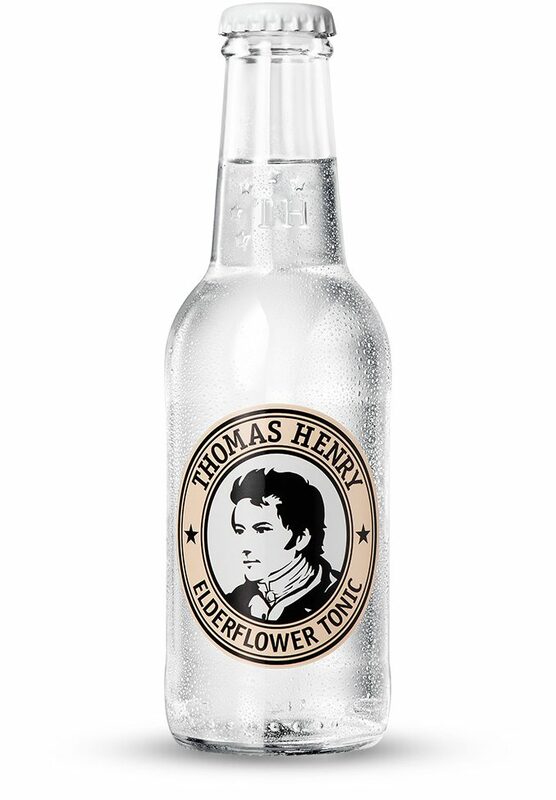 Thomas Henry Slim Tonic offers everything a gin connoisseur expects of a slim and dry tonic. 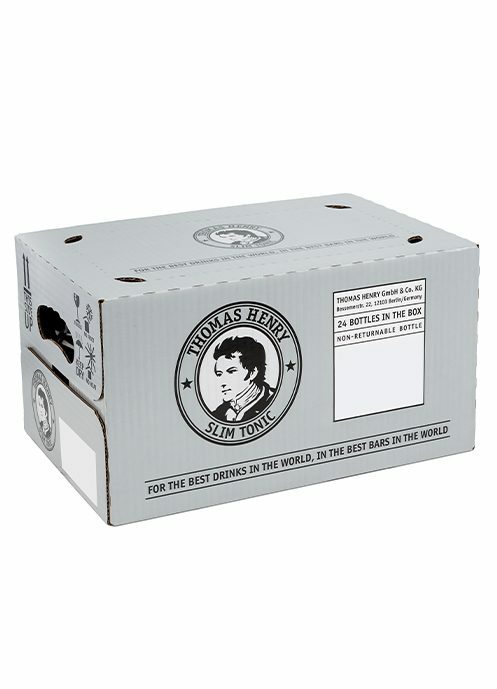 Yet, it is surprisingly aromatic. 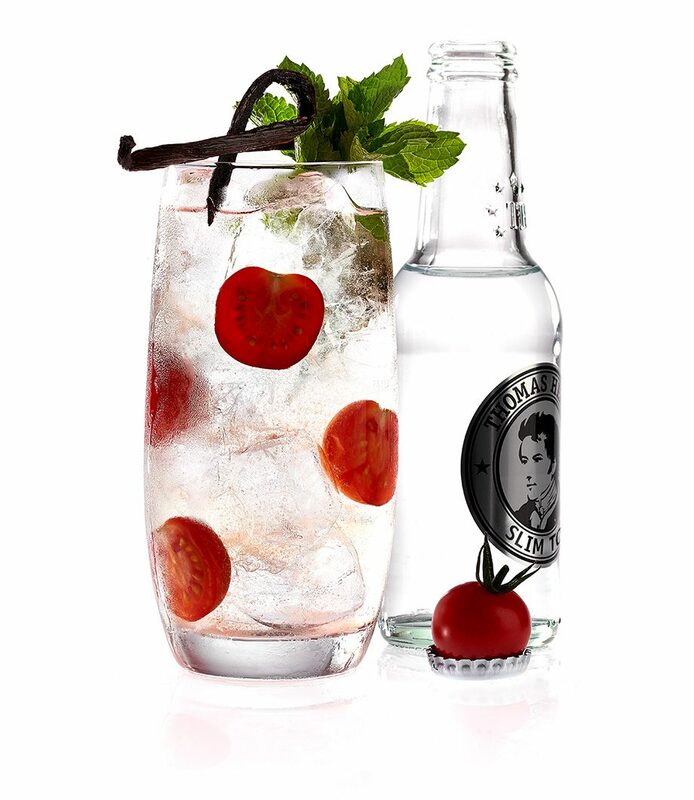 Joining our range of classic, fruity and floral tonics, it adds a full- flavoured yet low-calorie variety to the family. 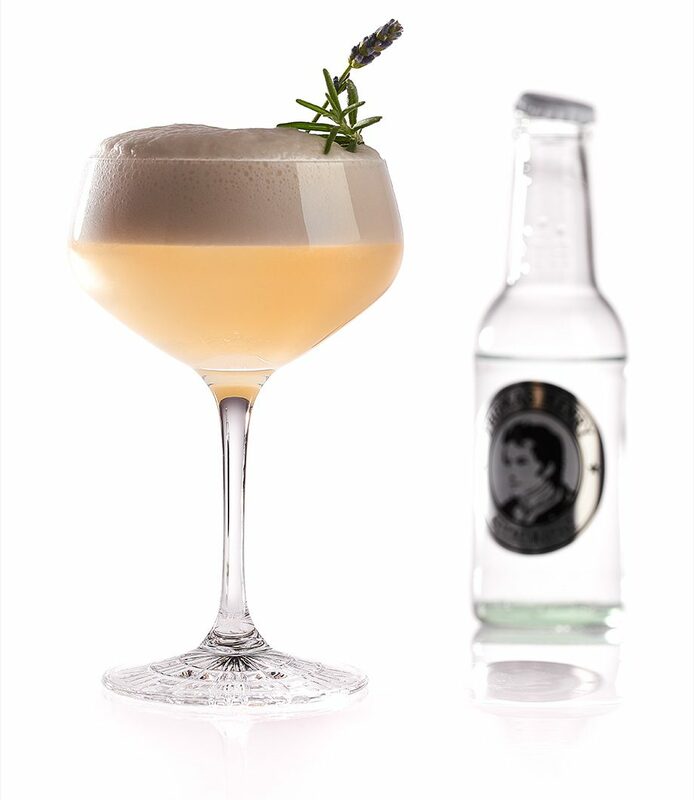 Mix it with a great gin to create a modern long drink. 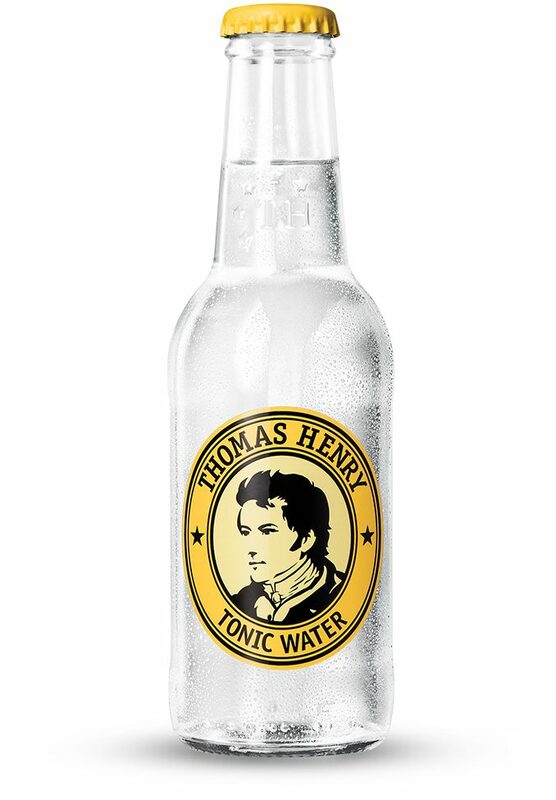 We love Tonic Water. 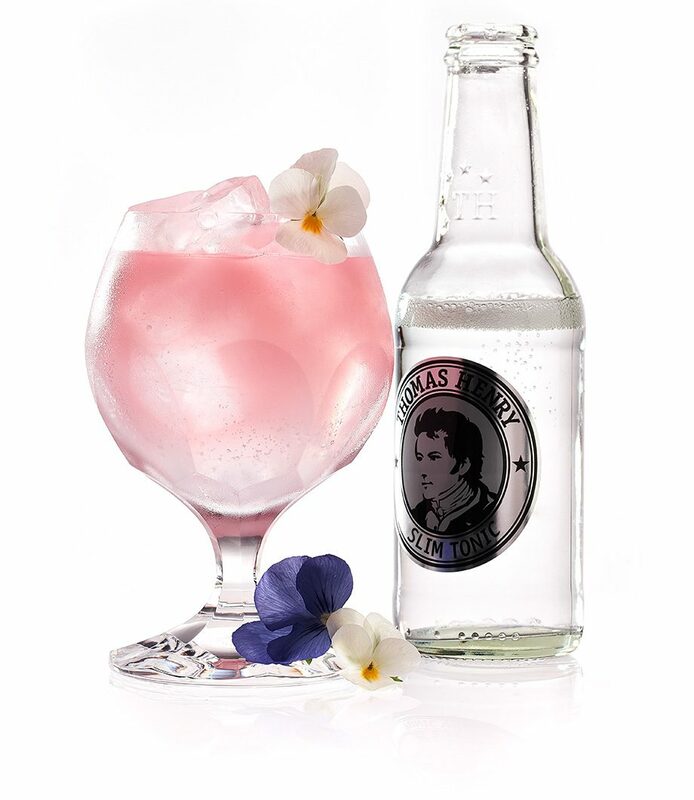 Arnd Henning Heißen and Phum Sila-Trakoon do, too, so we have teamed up with these two influential mixologists to create this fresh new tonic. 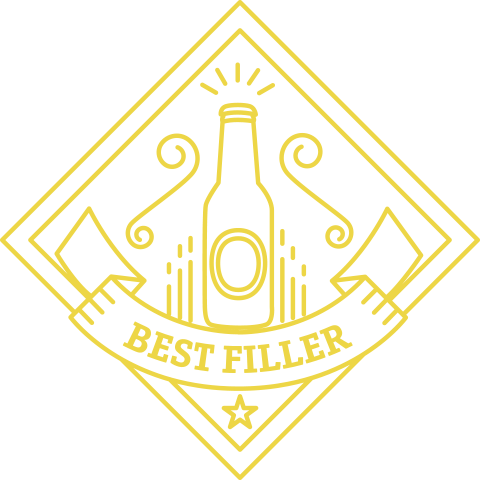 Its genuine taste almost makes it a cocktail on its own. 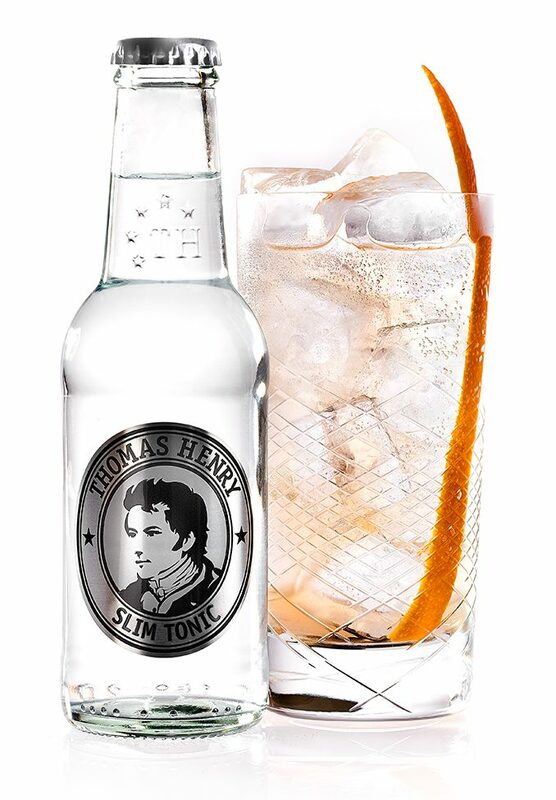 Thomas Henry Slim Tonic: full enjoyment, incredibly light. Lean. Dry. And still surprisingly aromatic! 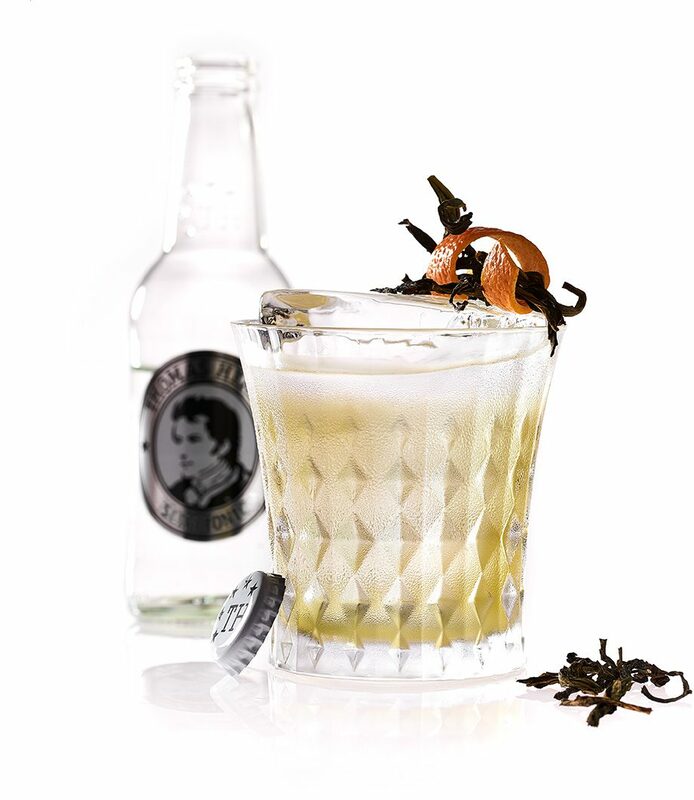 Fine notes of black pepper, sea salt and bergamot provide an unmistakable flavour to the bittersweet vermouth. How do you like your Thomas Henry Slim Tonic?